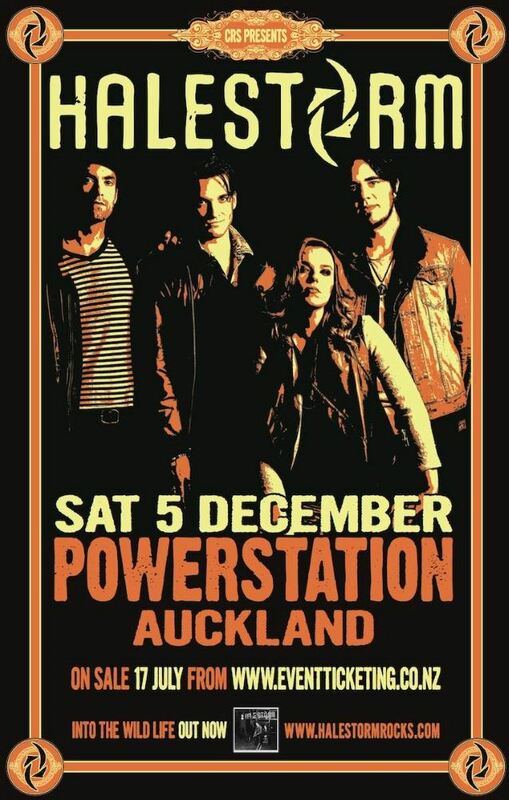 Pennsylvania rockers HALESTORM paid tribute to late STONE TEMPLE PILOTS singer Scott Weiland this past Saturday night (December 5) by performing a cover version of the STP classic "Interstate Love Song" at Powerstation in Auckland, New Zealand. Fan-filmed video footage of their rendition can be seen below. Weiland was found dead on his band's tour bus Thursday night (December 3). The singer, who was 48 years old at the time of his death, was on tour with THE WILDABOUTS in Minnesota when he was found unresponsive shortly before 9:00 p.m. They had been scheduled to perform Thursday night at the Medina Entertainment Center in Medina, Minnesota. However, that concert was canceled more than a week earlier because of slow ticket sales, according to StarTribune.com. The group was set to perform in Rochester on Friday (December 4) at the Wicked Moose. A cause of death has yet to be determined for Weiland, but the singer's long history of substance and alcohol abuse has been well documented over the years. His manager issued a statement saying, "Scott Weiland, best known as the lead singer for STONE TEMPLE PILOTS and VELVET REVOLVER, passed away in his sleep while on a tour stop in Bloomington, Minnesota, with his band THE WILDABOUTS. At this time we ask that the privacy of Scott's family be respected." Weiland's passing is the second death for THE WILDABOUTS. Back in March, THE WILDABOUTS guitarist Jeremy Brown died as a result of intoxication from multiple drugs. Brown's death was ruled accidental. 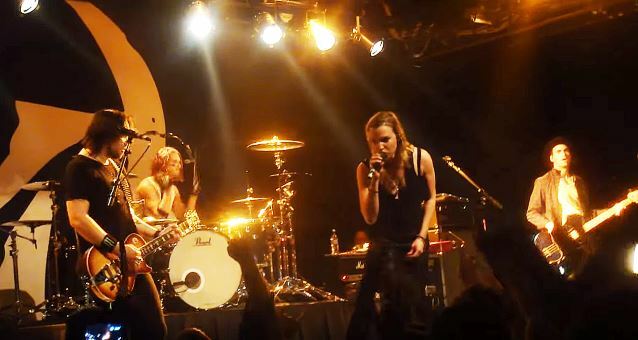 HALESTORM's third studio album, "Into The Wild Life", was released in April.